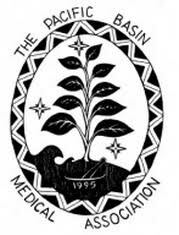 The Pacific Basin Medical Association was established in 1995 to meet the needs of the physicians working in the US-affiliated Pacific Islands jurisdictions. The mission of the PBMA is to maintain support for the physicians in order to provide quality healthcare in the Pacific Islands. PBMA not only provides structural support and a network of personnel in the health-related fields, it also facilitates the provision of continuing medical/health information, technical assistance, and sharing of expertise in the region. It also serves as a clearinghouse for health information and as a liaison for the local chapters of the medical association with tertiary health care institutes and in securing international resources. PMBA is now in its eleventh year. It holds its annual meeting in volunteered or designated jurisdictions. Health-related issues are addressed and continuing medical education topics are presented based on the specific theme selected for each annual meeting. to establish guidelines for professional conduct and performance. to support the formation of local medical associations throughout the Pacific region. In support of this mission, the association will function as an umbrella organization to facilitate cooperation and coordination of activities between medical associations, societies and practitioners from the following Pacific Island countries: American Samoa, the Commonwealth of the Northern Mariana Islands, the Federated States of Micronesia, the Republic of the Marshall Islands, and the Republic of Palau (collectively the “Pacific Basin”). With approval of a majority of PBMA Regular Members, the association may expand its efforts to include medical associations and societies from other Pacific Island countries and territories.